From the University of Minnesota Press comes a preserving cookbook especially for cold-climate cooks, whether they grow their own produce or shop at farmers’ markets and farm stands. Savory Sweet: Simple Preserves from a Northern Kitchen is a collection of condiment recipes by Mette Nielsen, a Danish-born gardener and photographer, and Beth Dooley, a cookbook author and journalist. Omitted from the book are warm-climate fruits such as guavas, mangoes, fig, and quince, but Californians and even Southern cooks will find plenty to work with here. Beth and Mette use dried apricots in place of fresh, and they liberally employ fresh citrus—especially grapefruit juice and rind, which they combine with various fruits and even with pickled beets. I don’t know whether the preference for grapefruit is typically Danish, but the Nordic touch is obvious in the authors’ frequent use of juniper, caraway, and dill. Still, I wouldn’t call this cookbook Scandinavian or even Midwestern. Beth and Mette play freely with ideas and ingredients from India, Mexico, Britain, Spain, Italy, the Middle East, and North Africa. 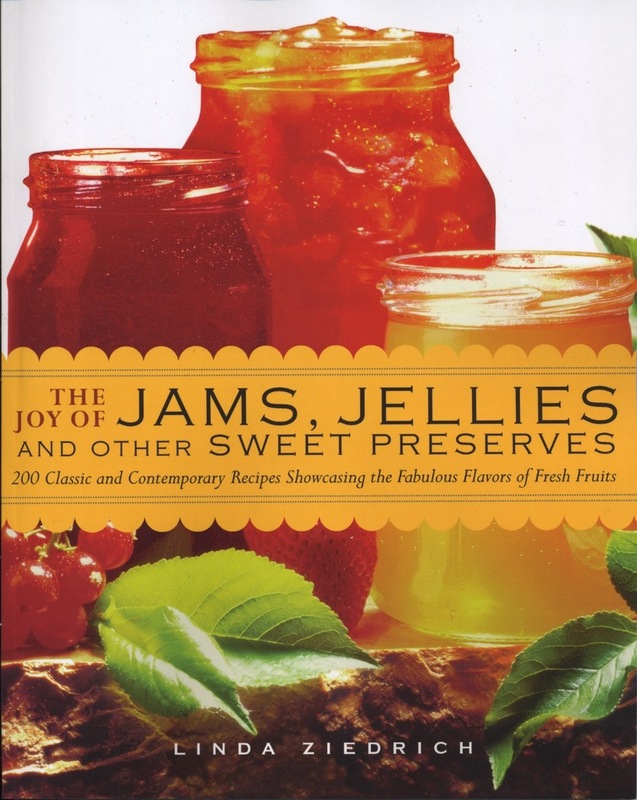 The book includes condiments of all kinds—pickles, relishes, chutneys, dips, sauces, jams, jellies, syrups, butters, mustards, and flavored salt and sugar—and some other preserved foods such as dried fruits and shrubs. Looking through the recipes along with Mette’s lovely photos made my mouth water. Particularly interesting entries include a fennel and onion confit, a pesto of garlic scapes and hazelnuts, a brined radish pickle flavored with juniper and coriander, and a tomato ketchup made with tamarind concentrate. Parsnips surprised me in two recipes—a relish, with grapefruit, and a marmalade, with lime. A chutney of butternut squash and dried apricots “was popular years ago,” but I’d never heard of it (I suspect that the original recipe is from the U.K.). An apple “compote” is sweetened chunky applesauce with horseradish and pepper flakes. The pear shrub with ginger and lime, according to the authors, is a pioneer recipe, though in a quick search I could find no old recipes for shrubs made with pears (prickly pear shrubs do go way back). In any case, almost any preserver will find intriguing ideas in this handsome hardcover volume. Take note of one odd thing about this book: Although most of the recipes call for mason jars with flat lids and bands, the jars are to be stored in the fridge or freezer instead of the pantry. The authors’ claim that a boiling-water bath would overcook the contents isn’t entirely credible, since most of the condiments are well cooked before they are jarred. No matter, though—most of the recipes have USDA counterparts. If you don’t want to fill your refrigerator and freezer with mason jars, simply use standard processing times as appropriate (see the National Center for Home Food Preservation website). And if you don’t like canning, feel free to use your Tupperware instead of Ball jars. For this recipe Beth and Mette recommend the Luscious pear, a sweet, juicy variety developed by South Dakota State University for the cold Northern Great Plains. If you live in a warmer climate, you might substitute Bartlett pears. This is a good way to use up soft, overripe fruit. Because the pears aren’t cooked in this recipe, I recommend you follow the authors’ advice to freeze the jars instead of processing them. To serve, mix ¼ cup of the shrub into 1 cup sparkling or still water, and pour the mixture over ice. If you like, add a jigger of rum or vodka. Combine the ginger, lime juice, and sugar in a medium bowl. Add the pears as you cut them. Crush the pears with a potato masher or a fork to release their juice. Tightly cover the bowl with plastic wrap, and set the bowl on the countertop out of direct sunlight. Macerate the fruit for at least 8 hours or overnight. Place a medium-mesh sieve over a large bowl. Working in batches, press the pear mixture through the sieve, scraping the underside of the sieve with a clean spoon. Discard the solids left in the sieve. Stir in the vinegar. Wash the jars, lids, and bands in very hot soapy water, rinse them well, and place them upside down on a clean towel to drain. Pour the shrub into the jars, leaving a half-inch of headroom to allow for expansion during freezing. Wipe the rims with a clean wet cloth or paper towel, add the lids and bands, and tighten the bands. Label the jars, and store them in the refrigerator or freezer. This recipe is from Savory Sweet: Simple Preserves from a Northern Kitchen, by Beth Dooley and Mette Nielsen (University of Minnesota Press, 2017). Copyright 2017 by Beth Dooley and Mette Nielsen. All rights reserved. Used by permission of the University of Minnesota Press. 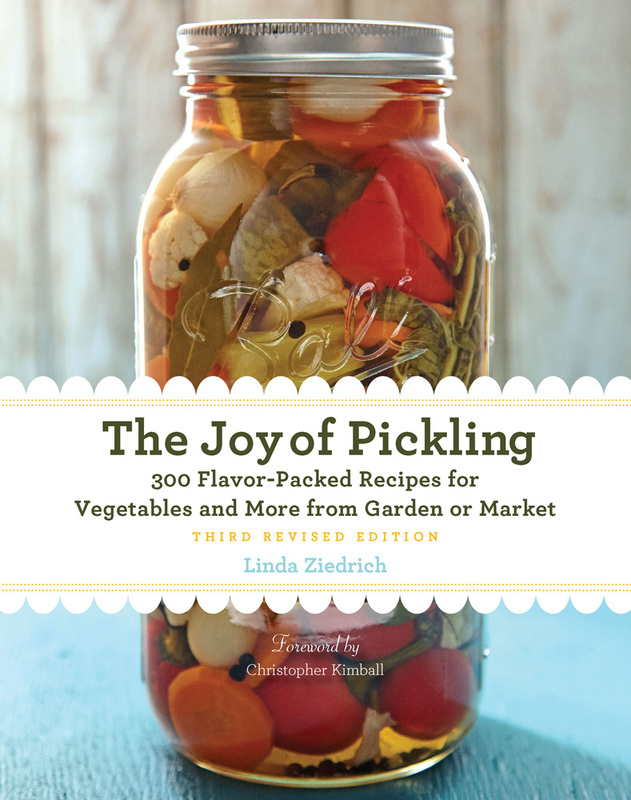 This entry was posted in Books and blogs, Fruits, Pickles, Sweet preserves, Vegetables and tagged Beth Dooley, condiments, Mette Nielsen, Minnesota, pear shrub, preserving, recipe. Bookmark the permalink.